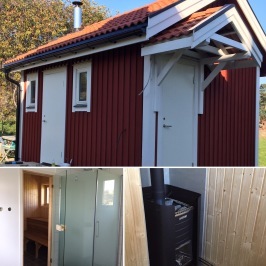 On our old farm on the island Vänsö, you can rent three different cottages. Vänsö is an island where you can only come to by boat, no ferries or bridges. You leave the car at the mainland and we will pick you up by boat. Storstugan about 100 years old, Fiskarstugan almost 200 years old and Gammelstugan more than 200 years old. You can rent either of them on a weekly basis. Different houses and sizes and prices. Vänsö is quite a large island. Here you can take long walks and go for a jog. 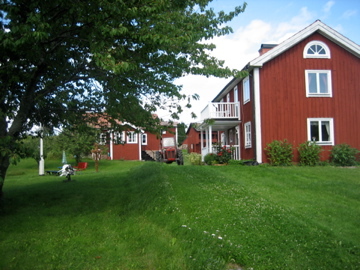 The old farm is situated about 100 - 150 m from the ocean. There you can swim and fish. There is plenty of fish in the water, both "abborre" and "gädda". In the forrest you can find wild berries. If you are interested in bird watching, you can see eagles and many other sea birds during your stay. We have small boats and kayaks to rent. There are no roads or cars on the island so here you can really rest. If you would like to go to a restaurant you can visit Mons Restaurant, about 10 minutes away by boat. They serve great lunches with a view. There you can also take a swim on the sandy beach. There are no stores on the island but you can by groceries on the mainland, 10 min by boat and 10 min by car. We will of course help you with transportation by boat. We are sure you will have a wonderful week in our beautiful archipelago! 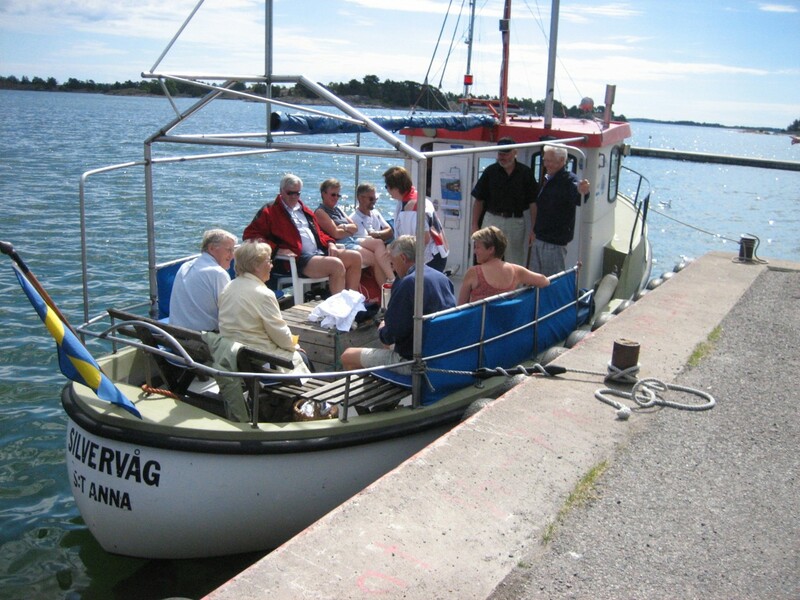 In our beautiful archipelago Sankt Anna you can go on a boat trip with the boat Silvervåg. It´s your choice if it will be for a few hours or a full day. The boat can take 12 passangers. The skippers name is Mats and he can also guide you if you would like to learn more about the surroundings. You tell us what you would like to do and we will arrange it. Price depends on how many hours you choose. You are free to bring your own pick-nick or we can help you to order from a nearby restaurant. From Söderköping take road 210 towards Sankt Anna. Drive 40 km and turn left towards Mon/ Vrångö. Drive one km turn right Lergraven. Here you can park. We will pick you up there, look for the boat Silvervåg. It takes 30 minutes to drive from Söderköping. 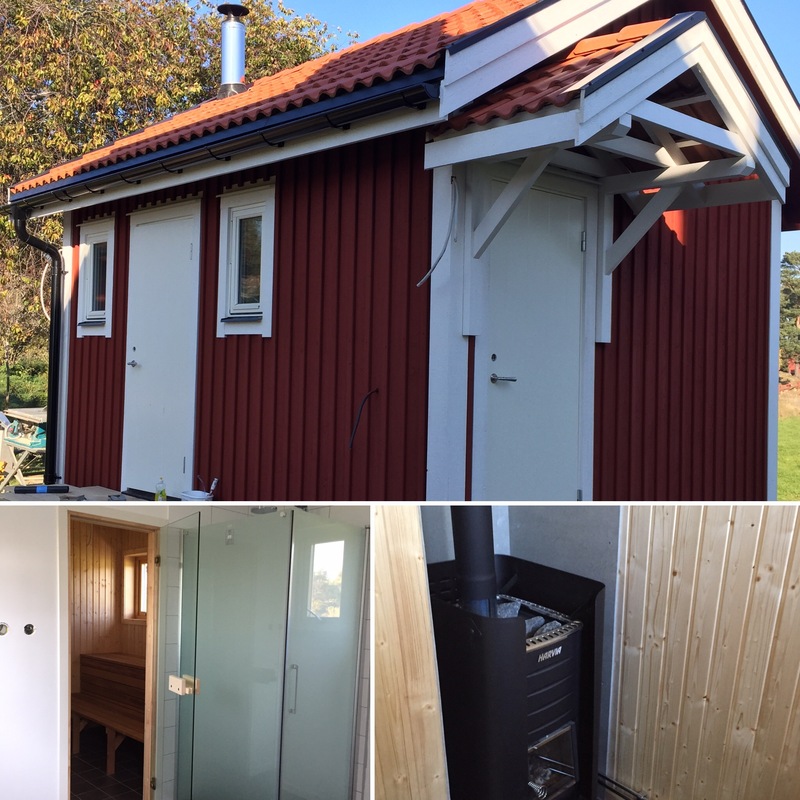 We offer an outdoors shower but now even a sauna with shower and WC. A separate building built during the fall of 2018.